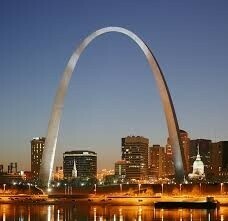 The St.Louis Gateway Arch is the second largest freestanding man made monument in the world after the Eiffel Tower. The Gateway Arch towers over the Mississippi River as a well known monument. This will begin with the facts of the arch, moving on to the facts of the rest of the area, and ending with the overall history. The $13 million, 630 foot tall, steel arch that over looks St.Louis is a remarkable monument. The Gateways Arch weighs a total of 17,246 tons! It has a tram inside that allows visitors to go to the top and look out of the small window. The tram can go 340 feet per minute which is approx. 3.86 mph. The arch is able to sway up to 18 inches at high winds and is designed to withhold am earthquake. In an emergency or maintenance issue 1,076 stairs are availible. Although there are no facilities at the top. The architect, Eero Saarien, designed the Gateway Arch with 60 feet into the ground, the base legs to be 54 feet, and the top to be 17 feet. The area around the Gateway Arch is called the Jefferson National Expansion Memorial. A total of 40 blocks of St. Louis historic water front was destroyed in the 1940s just to create space for the huge memorial. The Mississippi River flows directly below the Gateway Arch. The total area of the Jefferson National Expansion Memorial is 90.96 ares. In the memorial is the museum of West Ward Expansion, this is located underneath the Gateway Arch, it is a large as a football field. This museum holds an expensive collection of artifacts, an authentic American Indian tipi, as well as an overview of the Lewis and Clark expedition. The Gateway Arch, as well as the area around it, holds a lot of history. The construction started on February 12,1963 (51 years ago). The construction finally completed on October 28,1965 (49 years ago). The land that the Jefferson National Expansion Museum is on was founded by traders moving North and South of the river. 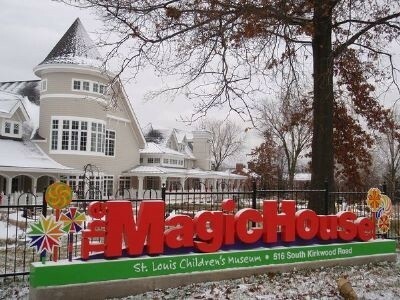 One of the oldest standing buildings in St. Louis is just two blocks west of the river. The Gateway Arch towers high and proud over the Mississippi River as a very well known monument. Now that this paper has shown the facts of the arch, facts of the Jefferson National Expansion Monument, as well as the history of both. This structure may be a location someone would consider visiting. 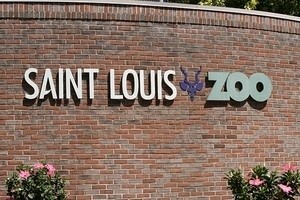 The St. Louis can be a calm, educations, and enjoyable attraction for the entire family. 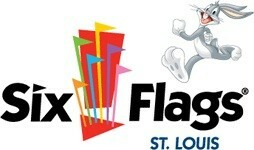 Take the family to Six Flags to let everyone have fun! Bring your kids here to have fun and play around. This would be a good place to let your children let loose. National Expansion Memorial Jefferson. National Park Service U.S. Department of Interior, & Experience Your AmericaTM, 13 Nov. 2014. Web. 18 Nov. 2014. "Arch Facts & FAQ." The Gateway Arch. National Park Service U.S. Department of Interior, Bi-State Development Agency, and Jefferson National Park Association, 1 Jan. 2010. Web. 17 Nov. 2014. "Gateway Arch." Wikipedia. 14 Nov. 2014. Web. 17 Nov. 2014. "History." The Gateway Arch. National Park Service U.S. Department of Interior, Bi-State Development Agency, and Jefferson National Park Association, 1 Jan. 2010. Web. 17 Nov. 2014.